This June, over 100 PICUM members came to Brussels to participate in PICUM’s 2014 Annual Workshop and General Assembly. 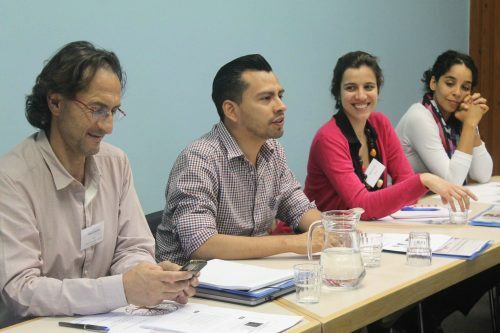 Exploring how civil society can actively shape migration policies in the coming years, these events enabled PICUM members to exchange experiences, build alliances, and discuss joint strategies to bring about change. 2014 is an important year for EU policy. EU citizens went to the polls to elect a new Parliament in May and a newly elected body of EU Commissioners took office in November. Migration policy will also be subject to change. In December, the EU Commission’s current programme on justice and home affairs policies will be replaced by new strategic guidelines. PICUM, recognising that the current security focused approach has failed to reinforce the freedom, security or wellbeing of EU citizens, and created an increasingly urgent humanitarian situation for migrants, has been mobilizing its network to engage in the process of shaping this new five-year programme. Opening the Annual Workshop, PICUM’s Director, Michele LeVoy, underlined the need for a new framing of migration issues in the EU. She highlighted that accurate terminology on undocumented migrants was one way to build a more humane and informed narrative. Over the years, PICUM members have frequently reported how discriminating and criminalising language reinforces the misconception that undocumented migrants are not entitled to human rights, and that they merit criminalising measures. Therefore, 2014 is also the year that the PICUM network is taking a stand, and uniting to end the use of inaccurate and inhumane language regarding undocumented migrants. With the help of its new leaflet “WORDS MATTER!” PICUM is sending a clear message to policy makers, journalists, and the general public, that the term ‘illegal migrant’ is inaccurate, harmful, and against Europe’s values and provides a useful lexicon of the more widely accepted terms ‘undocumented’ or ‘irregular’ migrant in all official EU languages. PICUM members across Europe and in other parts of the world are now sharing and promoting this pocket-size leaflet and using it in their daily work to support undocumented migrants to realise their human rights. PICUM’s Annual General Assembly (GA) provides a forum for members to come together and vote on important issues concerning the operation and future planning of the organisation. In this ‘member only’ space, participants have the opportunity to provide strategic input into PICUM’s work areas and highlight other issues and approaches that PICUM should adopt to support its members. Traditionally, PICUM held an annual thematic workshop open to the general public the day before the General Assembly. As 2014 marks such an important year for PICUM, both in terms of the policy-context and also the launch of PICUM’s “Words Matter” campaign, this year’s Annual Workshop was a member-only space, providing a valuable opportunity to take stock of current issues, learn more about each other’s work, and discuss how to bring about positive change. Throughout the day, PICUM members took the floor in various thematic sessions to contribute their expertise and discuss the strategic approach of priority areas of work, namely; using data and evidence, upholding EU legal standards, addressing the situation at borders and in detention, working with labour inspectors, and protecting undocumented victims. Photo: PICUM members attending the Annual Workshop. The following issues are a brief overview of the discussed topics and the insights that were shared. PICUM members recognise that providing evidence to policymakers has the potential to significantly increase their impact on policy shaping. Nathalie Simonnot, Deputy Director, Doctors of The World International Network gave the example of debunking the myth that migrants come to the EU to access health care, and described how Doctors of The World provided policymakers with data showing that only 2.3% actually migrated for health care reasons. When meeting with NGOs, policymakers often request ‘hard data’ regarding undocumented migrants in Europe. However, NGOs working on the ground face a number of barriers and challenges to engage in systematic data collection. In discussions, PICUM members recognised that collecting data should remain a priority area for PICUM and suggested that PICUM develop guidelines to ensure ethical data collection on undocumented migrants as a starting point to bring about more harmonized data. Organisations and advocates working with undocumented migrants see a wide gap between existing frameworks referring to undocumented migrants’ rights at EU level and the policies existing at national level. Participants discussed the need for clear and accessible information on EU laws and standards in the domains of equality, antiracism, and migrants’ rights to assist better monitoring of implementation at national level. The PICUM secretariat is currently exploring ways to systematically gather evidence from its members regarding breaches of these standards in their country. 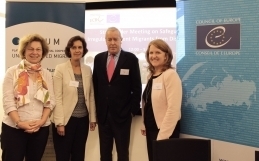 The PICUM secretariat also underlined the important link between the challenges facing undocumented migrants and the opportunities of the EU2020 strategy to combat poverty and social exclusion in the EU. As the strategy also addresses the need for equal and non-discriminatory access to services and the labour market, the EU2020 framework – including national reform programmes and country-specific recommendations – provide an important opportunity for PICUM members to engage their national authorities on the issues facing undocumented migrants. 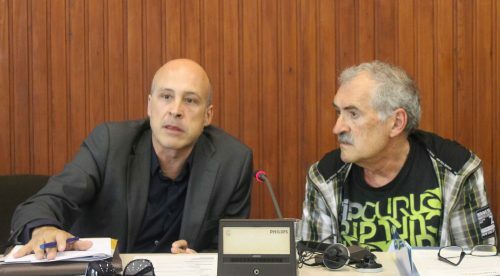 Photo: Mikel Araguás of the organisation Andalucía Acoge and Peio Aierbe of SOS Racismo Gipuzkoa in Spain discussed the situation of undocumented migrants at the Europe an borders in Ceuta and Melilla in one of the “Floor is Yours” sessions. 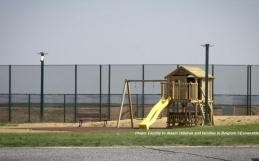 Ending detention of children and their families is a major priority for many of PICUM’s members and was discussed as an important step towards ending immigration detention as a whole. 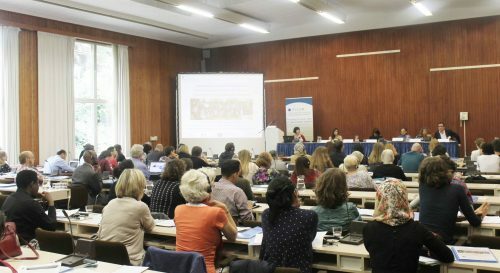 PICUM members shared their activities at local and national level to challenge the use of detention, and the PICUM secretariat discussed its involvement in the Global Campaign to End Child Detention. The human rights violations at the EU’s borders remain a key concern for PICUM members, and there was a detailed discussion regarding PICUM’s involvement in the Consultative Forum of the EU border agency Frontex. Members felt it would be beneficial for PICUM to develop clear objectives regarding its role in the forum and to use its position to advocate for more transparency. All participants agreed that the EU needs to establish more and fairer regular channels for migration, comply with international human rights mechanisms, and improve family reunification policies. Labour inspectors play a major role in enforcing workers’ rights. In the case of undocumented migrant workers however, labour inspections are still closely tied to law enforcement. In this case, labour inspectors may report undocumented migrants to the police which can result in their deportation. Placing a workers migration status ahead of their experience of exploitation allows impunity for exploitative employers rather than protection of workers’ rights. To ensure labour rights for all workers, regardless of residence status, PICUM will therefore advocate for independent labour inspections which are disconnected from immigration law enforcement. 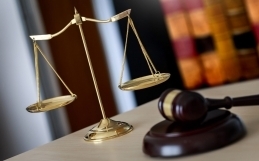 Due to the systematic challenges they face to report crime and obtain support from the police or courts, access to justice is a cross cutting priority affecting all areas of PICUM’s work. Whether they are supporting undocumented workers experiencing wage theft, undocumented families being harassed by landlords, or undocumented women being subjected to violence, PICUM members identify the lack of access to justice as one of the biggest barriers which prevent undocumented migrants from realising their rights. As the EU Directive establishing minimum standards on the rights, support and protection of victims of crime (2012/29/EU) explicitly addresses the rights of migrants who are undocumented, it provides an opportunity for PICUM members to engage national policymakers in the reform of laws and policies regarding access to justice and services in all EU member states, with the exception of Denmark. The transposition process is underway until November 2015, and PICUM is continuing to provide key information and support to its member’s engagement in this process. PICUM has prepared a range of materials to inform frontline organisations about the potential of this Directive to uphold the rights of undocumented migrants who are victims of crime, and will continue to support its members to using this opportunity to reform national laws and policies. Photo: Participants’ discussion in one of the working sessions. There is no doubt, that PICUM members are facing unprecedented challenges in their daily work. The hostile climate towards undocumented migrants and severe economic constraints are creating more difficult situations for undocumented migrants while reducing the resources and support available to mediate them. Despite this, PICUM members remain resilient and determined. Many participants shared positive experiences of support, information sharing, and joint actions which has been made possible because of their involvement in a dedicated international network focused specifically on undocumented migrants. Several organisations already discussed ways to promote the ‘Words Matter’ brochure at national level, through joint targeting of key media outlets and holding awareness raising events. At EU policy level, PICUM will continue bring its members concerns and expertise to the attention of policy makers. There are many changes afoot. The new European Parliament convened for the first time in Strasbourg in early July, and in November a newly elected body of EU Commissioners will take up their posts. PICUM will ensure undocumented migrants experiences in the domains of health care, justice, home affairs, employment, and social affairs are placed on the policy agenda and that, in whatever language the discussion is taking place, correct terminology is being used! Click here to view more photos of the Annual Workshop and here for photos of the Annual General Assembly.